Zoë Straub was born in the Austrian capital, Vienna, to musician parents, Christof Straub and Roumina Straub (née Wilfling), on 1 December 1996. For four years she attended Vorschule des Lycée Français de Vienne and later for five years Lycée Français itself. "I grew up with music, since my father was a musician and my grandfather has always been a big fan of classical music as well as the typical French chanson. I listened to music all the time and tried to imitate the Queen Of The Night, from the Opera "The Magic Flute", at the age of four. Therefore my passion for music has always been inside of me, and it always was my dream to become a musician myself"
Zoë cites as her musical influences today's music stars like Beyonce and Hozier as well as the queen of French music Edith Piaf. At the age of six, she featured in a song by her parents' musical project, Papermoon, called "Doop Doop (Baby Remix)". In 2006 she occasionally hosted "Close up" program at Confetti TiVi. In 2007, Straub participated in the Austrian reality singing competition Kiddy Contest, where she covered "Engel ohne Flügel", originally performed by Nicole. Straub appeared on ORF television series Vorstadtweiber in 2015. Straub started her professional music career competing in the Austrian national final for the Eurovision Song Contest 2015, where she eventually placed third with the song "Quel filou", written by Zoë herself with her father, Christof Straub. During the Eurovision Song Contest week she performed at Eurovillage in Vienna. Later in 2015 she released the single "Mon coeur a trop aimé" that became number one of the Ö3 Austro-Charts. On 22 October she released her début album Debut. Album reached 3rd spot in Ö3 Austria Top 40 charts. She will compete in the Eurovision Song Contest 2016 with a track from the album "Loin d'ici". It was released as the album's fourth single on 5 February 2016. Zoë confirmed she will be performing in French in Stockholm. "I always have said when I was asked to participate in the Austrian selection for Eurovision, that I would not change anything in the style I like for it. And one of the things I particularly like is singing in French", assures the singer. She described her entry "Loin d'ici" as a song that takes the audience on a journey in a colorful fantasy world and song that is radiating positive vibes in a troubled world. "My song is a very positive song, telling about our dream to find a paradise - place where we are completely happy, a place where people sing and dance and enjoy their life. In this context, paradise is not a physical location but an inner image which everyone can find for themselves. The song is meant to make people smile and simply feel good. For me, representing Austria at the Eurovision Song Contest is not only the greatest honour of all, but also a chance to reach all Europe with my music. To perform on the stage of the Eurovision Song Contest was always my biggest dream"
On 15 March music video for "Loin d'ici" was released. It was produced by Ramon Rigoni (illuminati film) on behalf of ORF Enterprise, who is responsible for more than hundred music videos for such artists like Cro, Christina Stürmer, Sido, Nazar feat. Falco, Trackshittaz, Natália Kelly ("Shine") etc. He says: "We wanted to create a fantasy world, in which ZOË is still in the focus. The animations and light atmospheres are her stage. We decided on the retro look already early in the process. It involved real handcraft - we painted the background graphics, which were later computer-animated. The motifs include starry skies and sunshine, and all kinds of landscapes - meadows, snowfall, and deserts.". The video was shot entirely in the green box and includes 80 visual compositions that contain up to 100 layers in itself. Work on it was very time consuming and challenging as work steps such as painting with watercolor, scanning of images, cutting out the elements, compositing and finally animating the scenes had to be coordinated. Zoë's outfit was designed by the Austrian designer Michel Mayer specifically for video. "We wanted a retro look for the video. Our inspiration came from Yellow Submarine by the Beatles, and that way we have created something simple yet fairytale-like. On one hand we use modern technology but on the other hand we also take a few steps backwards by using a 2D look with watercolour images. The main idea was to convey the lightness of the video"
ESCKAZ had the opportunity to speak with the Austrian representative Zoë, who tells us she is "overwhelmed, grateful and very very happy" with her national final victory and qualification to the international Eurovision contest. It wasn't Zoë's first time in the Austrian competition, as she already took part in it last year. "In 2016, I have been asked by ORF, if I would be interested in participating in the Austrian final again, and I said yes because it has always been my biggest dream to be on stage in the world's largest entertainment show!". At the contest she will be performing "Loin d'ici" which she describes as a song about "a journey to an imaginary paradise, a beautiful place full of colours and flowers, where everyone is happy singing and dancing". "When we write songs (my father and I), we try to think as little as possible. We just let it flow. When we were writing "Loin d'ici" we just wanted to create a song that puts a smile on the face of those who listen to it. I always feel good when I listen to it or when I perform it. So, we thought it was the right choice". Zoë says her song will remain virtually unchanged for the Eurovision in May and there is possibility of remixes and versions in other languages as well. The shooting of the music video for the entry will start next week. There will be changes in the stage performance, however, and the Austrian team is currently hard-working on this particular part of preparations. "We are going to work mainly on reduction compared to the national final. I'm dreaming of getting the visuals more arty, more in pastel shades, and just a few animations at a few key points. But then, really cool animation :)". At the international Eurovision she will be assisted by three backing vocalists, who are currently being recruited, but for certain one of them is going to be Regina Mallinger, who was on the Eurovision stage last year as well. Singer is also happy to reveal that Jasmina Mitic, who worked on Zoë's image and stage outfit for the competition last year, but unfortunately was not available for the national final 2016, will be making comeback. "The international renowned designer Michel Mayer will tailor a dress especially for me! This is great and I can't wait to see it!". Zoë says that first of all she would really like to reach the finals. Then, we'll see... I will give my best to make my country proud! :)". She says most difficult part in preparations to the competition is that it takes all the time: "Since the 12.2 I am running from one meeting to the other. This is cool, but since I'm also on tour these days, there's no free time left. But, I wanted it, so no need to complain :)". She admits she didn't even had time to get a look on the other countries' choices for the competition, but hopes to do so in the nearest future. Last year, singer has released the "Debut" album, and is looking forward writing a new material after the Eurovision, around September. "I think, it will be in a similar direction. I think I'll stay with French, but who knows?" "Dear Eurovision fans! I'm so happy that you are a part of the big Eurovision family! I'm looking forward to having a great time in Stockholm and I hope to meet you there! If we can't meet, I'll wave to you in the camera! You can check the complete version of the interview on Facebook. On May 2, ZOE is flying together with her team to Stockholm. But everyone still has a chance to attend Zoe's Farewell Party which takes place on 27 April. 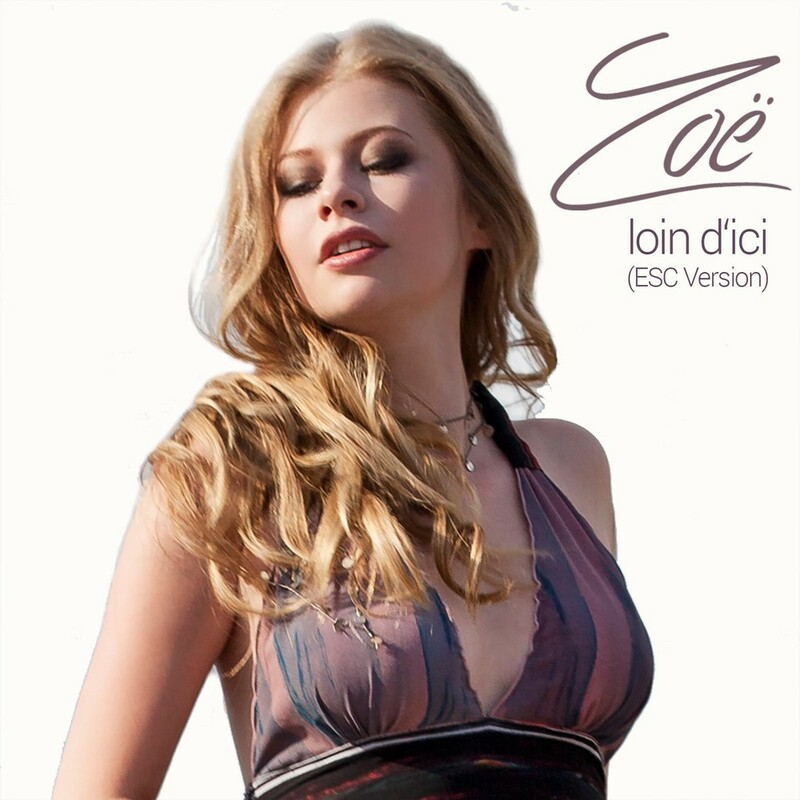 During the party Zoe will perform her Eurovision entry "Loin d'ici" and several other songs from her Debut album. The evening is hosted by Riem Higazi. Answer the question correctly and and win 2 tickets to the farewell party on Wednesday, April 27, 2016, in Vienna. The deadline is on Monday, April 25, 2016, 15.00. The team recording the official "postcards" introducing the 43 entries of the 2016 Eurovision Song Contest has arrived in Vienna: Yesterday they toured several locations in and around the Austrian capital together with the country's representative ZOË. Yesterday the material for the Austrian postcard has been filmed with ZOË in three locations: At Heldenplatz square and Schönbrunn castle right in the city, and in surrounding vineyards. Director Robert Jitzmark explains: "The focus is on the artist and we have jointly selected the locations. Therefor we have tried to find angles that maybe have not been shown before - which is difficult, because everything here is so beautiful." After all shots were recorded, ZOË commented: "Working with the team was really pleasant. Everything went smooth, especially time-wise, and it was fun. Finally I was able to enjoy and see Vienna again, like a tourist in my own city. Moreover I am so happy about the gorgeous weather - it couldn't have been better." 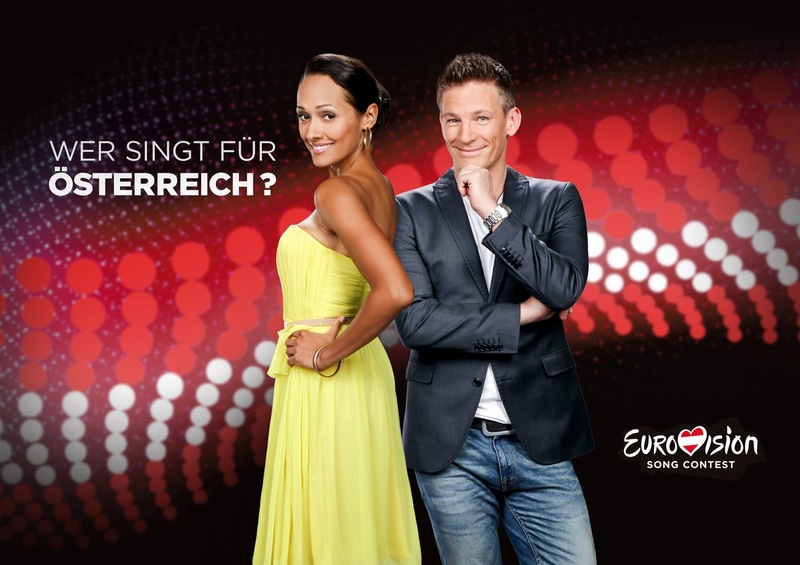 Austrian broadcaster ORF will use national preselection process "Eurovision Song Contest": Wer singt für Österreich to select it's entry for the 2016 Eurovision Song Contest. On 12 February the TV audience, together with a panel of experts during a large ORFeins prime time show hosted by Andi Knoll and Alice Tumler will decide who will represent Austria in Stockholm. Tickets for the show and dress rehearsal are available here. ORF television director Kathrin Zechner: "Before the ESC in Vienna, we have made it our task, together with the Austrian music scene to bring the artistic diversity of Austria from behind the curtain and to show what talents are coming from our country. This year we will continue move in this direction. Therefore we again will be providing a chance for the Austrian talents, waiting to be discovered. I believe that this high-quality access is very important for the artists, for the ORF, for our viewers and spectators, and also for the quality of the ESC in general"
Regulations of the national preselection have been published on 17 November, 2015. Ten acts will compete in the Austrian preselection for the ticket to the biggest television entertainment event in the world. Nine of them are nominated by the music expert Eberhard Forcher and the ORF-Song Contest team from Austria's rich music scene. The tenth Act in the final was elected as the wildcard by Facebook users. As from 17 November, interested performers (soloists or groups, aged over 16) could apply to participate in the national preselection. They had to send a song as an MP3 file (including a photo) or a link to the own video to songcontest@orf.at. Deadline for submission was 11 December. The song must be non published or performed before 1 September and not longer than 3 minutes. The stage performance is limited to a maximum of six people and it has to be sung live. The submissions were be reviewed by the ORF Eurovision Song Contest team and presented on it's Facebook page. The best acts (based on editorial criteria and user response) took part in the internet vote for the Wildcard, and the entry that receives the most likes got the ticket for the live final show on February 12, and thus the chance to qualify for the ESC 2016 in Stockholm. Eberhard Forcher was working as the scout of this year's national preselection. Forcher, who used to host programs "Solid Gold" and "Forchers Friday Music Club" on the Hitradio Ö3, is deep rooted in the local music scene and can even boast hitting the charts with his band Tom Pettings Herzattacken back in the 80s. 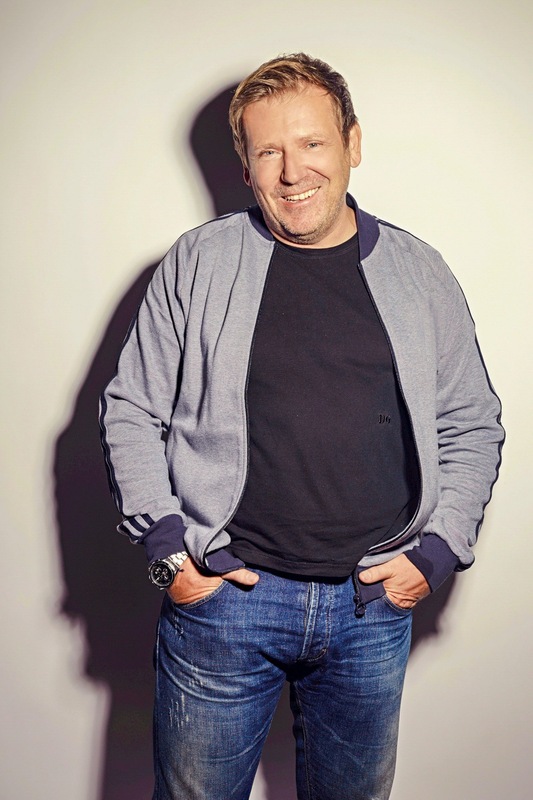 In 2014 Eberhard Forcher founded the YouTube Channel AUSTRO ZONE on which he promotes Austrian musicians and bands and for which he was awarded the Amadeus Austrian Music Award. Each year, nearly a thousand clips of promising young artists are sent to the AUSTRO ZONE. Thus, he sits right at the musical pulse of the times, and in the past few weeks he checked hundreds clips on regulatory basis, made an own pre-selection and entered in contact with the eligible artists to clarify their willingness to participate in the preselection. Nine of acts chosen by him will compete alongside wildcard chosen by Facebook voters in "Eurovision Song Contest - Who sings for Austria". 37 acts have been included into the longlist for Wildcard round. Check the complete list of wildcard candidates here. During the preliminary publication of entries, over 500 likes have been gathered by AzRaH, Sara Koell, Laura Kamhuber and Cornerstone. Based on the user response and judgement by editorial criteria Laura Kamhuber, Ola Egbowon, AzRaH, Sara Koell and David Siedl have progressed to the final user voting, which will be launched on 14 January, 9.00 CET and will run for 24 hours. The act getting more likes will receive the wildcard and join other 9 finalists. The names of them have been revealed on 12 January. Particular emphasis the scouting team led by Eberhard Forcher and ORF editorial director Stefan Zechner made on the domestic newcomers. Samples of competing entries have been presented on radio Ö3 on 21 January where they have been evaluated by Conchita Wurst, while full version were released on the same day on ORF website. • Azrah - The native Bosnian has won the music competition "Austro Song Contest" in the previous year and produced with the prize money her Eurovision entry. • David Siedl feat. Madelene & Mc Vio - in his songs musician from Krems attempts a musical journey around the world. • Laura Kamhuber - 16 years old former participant of "Kiddy Contest", "Silvesterstadl" and "The Voice Kids" is the youngest participant of preselection. • Ola Egbowon - music, gospel, African folk music and Motown were constant companions in the life of native Nigerian. He lives in Vienna and makes modern soul music. • Sara Koell - The Tyrolean artist has experience of band competitions, TV shows, Donauinselfest, Musical studies - for ten years, almost everything revolves in her live around music. AzRaH has been declared the winner of the voting with 7168 valid votes. Due to the irregularities (sudden disproportionate rise and equally sudden drop of likes with untraceable origin) organizers took extra time to recheck the results. Following the professional analysis of the voting history manipulated "Likes" were disqualified. Therefore, a new ranking was made, which showed AzRaH as first place winner. • Singer/Songwriter with Slovak/Croatian roots Bella Wagner was born in Vienna, dances, sings and speaks five languages ​​and has studied in Prayner Konservatorium in Vienna in drama and dance. In 2008 she has released her debut album "That's What I Like" and two years later she won Austrian Newcomer Award. With her versatile yet distinctively significant voice, she impresses her audiences in many a genre, from jazz to pop, which is her personal focus. "As an artist and as a human being I see it as my duty to stand up for peace, animal and environmental protection with full conviction. I will speak/sing for everyone who stands up against war and for peace, also in later generations" says the singer. • Elly Vardanian is 17 years old and lives in Lower Austria. At the age of 8 months, she came with her ​​family from Armenia to Austria. Her great talent she could prove, inter alia, at the junior competition, Prima la musica, in which she won first place last year. Elly promises: "With my song and performance I want to represent my country with dignity. I would like to touch the hearts of many people and convince them to vote for me". • Orry Jackson was born in 1989 in Bonn, where he also grew up before moving to Graz. It was the music worlds of international pop and Neue Deutsche Welle, which have influenced his childhood. From these factors and his irrepressible passion Orry has created a style, which can be described as a German-Soul. He can rely on a wealth of experience varying from DJ Collaborations and Boybands and other numerous stage projects. He is a great fan of Michael Jackson calling him his first and the greatest music influence. "What stayed in my life is passion for international pop music. I like artists who convince as a whole - voice, looks, style, and pop attitude". • Céline Roschek and Farina Miss are teaming up for their performance. Former Miss Austria 2002, Celine Roschek's genre ranges from classical to pop. The violinist plays both the classical as well as the electric violin and is well known for her modern interpretations of classical works and cross-over projects. The former jazz student Farina Miss draws inspiration from artists such as Erykah Badu, Jill Scott and D'Angelo. About participation in the Song Contest she says: "I hope for a huge music party, with artists from many different countries with many influences and different languages... simply a colorful and inspiring culture clash". • After her jazz studies at the Vienna Conservatory and various musical productions, Lia Weller, who was born in Sao Paulo, became known throughout Austria for her Starmania participation in 2008. It was followed by appearances throughout Europe and tours through the club scene in Ibiza. Her music has eventually made it's way to Brazil, where her voice can be heard in various blockbusters and soap operas. Her style is to be understood as a combination of soul and house music elements in a Pop package. 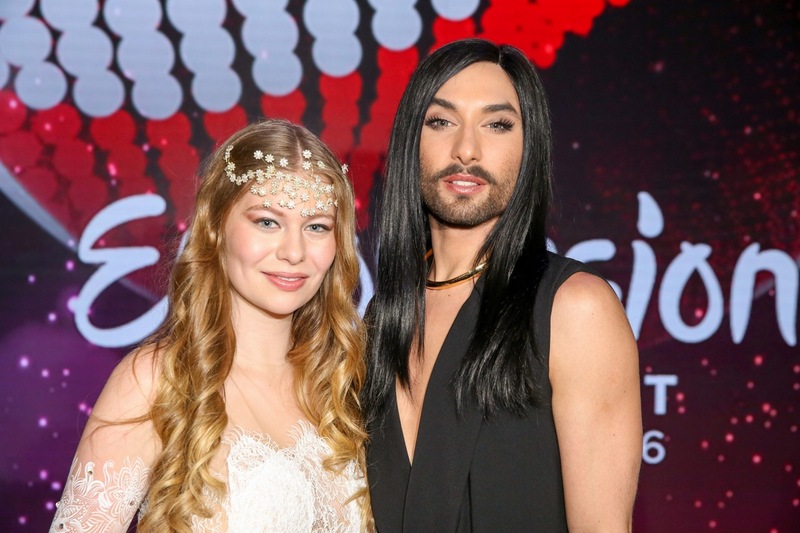 Lia's says she has many beautiful memories about Eurovision contest, but the best of them was victory of Conchita. • 30-year-old Viennese Vincent Bueno has Filipino roots and graduated from the Music and Art Private University of Vienna, "Musical Theatre" department. In 2008 he won the ORF-Event, "Musical - The Show" and the following year has competed in Dancing Stars. This was followed by projects in the Philippines and Austria, where he was seen among others as Special Guest playing Sky in "Mamma Mia" in Raimund Theater Vienna and in 2015 has also released his first German-language single "Geständnis". He says he is just grateful and at the same time extremely excited with his Eurovision participation. • Lizza - aka Lisa Klammer - comes from Carinthia and is 19 years old. In 2014, she has signed her first recording contract and released first single, "Every Minute Of A Day" released. Her music influences are Adele, Ed Sheeran and Taylor Swift. "Being participant on the Eurovision is everything for me! The greatest thing would of course be to win it! ", says Lizza and her best ESC memory is victory of band Lordi in 2006. • Zoë was brought to the world of music at an early age by her father Christof Straub (guitar player of the band Papermoon). In 2013, now 19-year-old artist, whose idol is Edith Piaf, started her career as a singer-songwriter. In 2015 she took already part in the Austrian preselection for the Eurovision Song Contest in Vienna where she reached finals. With the song "Mon coeur a trop aime" and album "Debut" she made it into the "Top 40 Chart of Austria". "If I get the chance to represent Austria at the Eurovision, then of course I want to give everything. Above all, I promise myself a lot of nice memories and experiences of the preliminary round". • Sankil Jones was born in Vienna and grew up in Long Island / New York. He studied violin, singing and dancing at the Manhattan School of Music and at the Vienna Conservatory. After jobs of model, choreographer and dancer, in 2010 he has released electric pop / R&B album, Firestarter. At the national final he will present a song performed in his distinctive soul voice. Eurovision for Sankil is "a great way to lay the foundation for an international career and to represent Austria as a country with a great musical diversity". Members of the professional jury at the final were: Eurovision 2014 winner Conchita Wurst, singer and actress Madita, as well as Julie Frost - songwriter of Eurovision 2010 winning song "Satellite". Fourth jury member were representatives of local press, including Stefan Weinberger (Kronen Zeitung), Astrid Hofer (Österreich), Anna Gasteiger (Kurier), Christiane Fasching (Tiroler Tageszeitung), Martin Fichter-Wöß (APA), Marco Schreuder (ESC-Blogger, derstandard.at), Roland Bonimair (TV-Media) and Christian Ude (Kleine Zeitung), who has acted as it's spokesperson. "We're proud to have such an experienced specialists in the jury, who are already aware how it is - to win Eurovision Song Contest. Involvement of the press members widens experience of the jury, and addition to it of the opinion of the Austrian public should help us to select the strongest entry for Stockholm", says ORF director Katrin Zechner. Each of the jury members was giving his points on the 1-10 scale immediately after each performance. Televoting was launched after the last entry. After summing up of the votes, the leaders were be determined, in the case of tie preference should have been given to the televoting favourites. Next took place Superfinal of two entries, where jury was only able to voice it's opinion but the decision was made by 100% televoting. Conchita Wurst also performed as a special guest with "That's What I Am" (national preselection 2012 entry). The final of the show collected 553.000 viewers on ORF. Зои Штрауб родилась в столице Австрии Вене в семье музыкантов Кристофа Штрауба и Роумины Штрауб (урожденной Вилфлинг) 1 декабря 1996 года. В течение четырех лет она училась в школе при Французском лицее Вены, а позже - пять лет в самом Lycée Français. "Я выросла с музыкой, так как мой отец был музыкантом и мой дед всегда был большим поклонником классической музыки, а также французского шансона. Я слушал музыку все время, и пытались подражать Королеве Ночи, из оперы "Волшебная флейта", уже в возрасте четырех лет. Поэтому моя страсть к музыке всегда была внутри меня, и моей мечтой всегда было самой стать музыкантом"
Зои приводит в качестве ее музыкальных влияний таких сегодняшних музыкальных звезд, как Бейонсе и Хозиер, а также королеву французской музыки Эдит Пиаф. В возрасте шести лет, Зои спела в музыкальном проекте родителей, Papermoon, в треке "Doop Doop (Baby Remix)". В 2006 году она иногда была ведущей программы "Close Up" на Confetti TiVi. В 2007 году Штрауб приняла участие в детском песенном реалити шоу Kiddy Contest, где исполнила кавер-версию песни Николь "Engel ohne Flügel". Штрауб также приняла участие в съемках сериала ORF Vorstadtweiber в 2015 году. Зои начала свою профессиональную музыкальную карьеру с участия в национальном отборе Австрии на Евровидение 2015, где, в конце концов, заняла третье место с песней "Quel Filou", написанная самой Зои со своим отцом отцом, Кристофом Штраубом. В рамках Евронедели Евровидения в Вене она выступала в Евродеревне конкурса. Позднее в 2015 году она выпустила сингл "Mon Coeur Trop aimé", который возглавил чарт австрийской музыки радиостанции Ö3. 22го октября вышел в свет ее дебютный альбом "Debut". Он достиг 3го места в чарте Ö3 Austria Top 40. Зои примет участие в Евровидении 2016 с одним из треков из этого альбома - "Loin d'ici". Он был выпущен в качестве четвертого сингла альбома 5 февраля 2016 года. Зои подтверждает, что будет петь в Стокгольме на французском языке. "Я всегда предупреждала, когда мне предлагали выступить на австрийском отборе на Евровидение, что я не буду менять стиль, который мне нравится, ради него. И петь на французском - это то, что мне нравится особенно", заверяет певица. Она описывает свою конкурсную песню "Loin d'ici" как песню, которая зовет слушателей на поис яркого фантастического мира, и песню, которая выпускает положительные эмоции в наш напряженный мир. "Моя песня - очень позитивная, рассказывающая о нашей мечте найти рай - место, где мы были бы полностью довольны, место, где люди поют и танцуют и наслаждаются своей жизнью. В этом контексте, рай - не физическое место, но скорее внутренний мир, который каждый может раскрыть для самого себя. Моя песня нацелена на то, чтобы люди улыбнулись, и просто хорошо себя почувствовали. Представлять Австрию на конкурсе Евровидение - не только большая честь для меня, но и шанс показать всей Европе свою музыку. Выступать на сцене Евровидения всегда было моей самой большой мечтой. " 15го марта был выпущен в свет видеоклип на песню "Loin d'ici". Его продюсером стал Рамон Ригони (illuminati film) от лица ORF Enterprise, на счету которого более сотни видеоклипов таким артистам, как Cro, Christina Stürmer, Sido, Nazar feat. Falco, Trackshittaz, Natália Kelly ("Shine") и другим. Он говорит: "Мы хотели создать в клипе фантастический мир, но в то же время сохранить упор на самой исполнительнице, используя анимацию и различное освещение в качестве дополнения. Мы договорились об определенном ретро-стиле, потому многое в клипе является ручной работой. Мы сами раскрашивали задние фоны и другие элементы, которые потом были анимированы в компьютере. Задние фоны разнятся от звездного неба до света солнца, от поляны с цветами, до снега и пустыни". Видео было полностью снято на зеленом фоне, и включает в себя 80 визуальных композиций, содержащих свыше 100 слоев. Работа над клипом была очень сложной и потребовала множества времени, поскольку было необходимо разукрасить задники акварелью, отсканировать изображения, вырезать элементы, расставить их в композицию, и затем анимировать сцены. Платья Зои для клипа разработал известный австрийский дизайнер Михаель Майер. "Мы хотели создать клип в стиле ретро. В качестве вдохновения мы использовали клип Битлз "Yellow Submarine", и создали нечто такое же простое и волшебное. Несмотря на то, что мы использовали современные технологии, мы намеренно отступили на несколько шагов назад, и специально выбрали 2D изображение или акварельную раскраску. Для меня было важно передать легкость в соответствии с настроением видео"
ESCKAZ получил возможность пообщаться с представительницей Австрии Зои, которая рассказала нам о том, что она была "потрясена, благодарна всем и очень очень счастлива" своей победе на национальном отборе и выходу на международное Евровидение. Это не было первой попыткой Зои в национальном финале, где она уже принимала участие в прошлом году. "В 2016, меня спросили представители телеканала ORF, хочу ли я снова принять в нем участие, и, конечно же, я сказала "да", потому что моей мечтой всегда было выступить на сцене самого крупного развлекательного шоу в мире!". На конкурсе Зои исполнит песню "Loin d'ici", которую она описывает как песню о "путешествии в воображаемый рай, прекрасное место, полное красок и цветов, где все поют и танцуют". "Когда мы пишем песни (папа и я вместе), мы стараемся как можно меньше задумываться. Мы просто выпускаем наружу подсознание. Когда мы писали "Loin d'ici", мы хотели сделать такую песню, что могла бы заставить слушателей улыбнуться. Я всегда испытываю очень приятные эмоции, когда я исполняю ее. Потому, мы решили, что она будет правильным выбором для Евровидения". Зои рассказывает, что ее песня останется практически неизменной до Евровидения в мае, и есть вероятность того, что на нее будут выпущены ремиксы и также версии на других языках. Съемка видеоклипа на песню начнется на следующей неделе. Однако в самом сценическом выступлении Зои, планируются изменения, и команда Австрии сейчас усиленно работает над этой частью подготовительного процесса. "Мы хотим несколько более расслабить номер по сравнению с национальным финалом. Мне хотелось бы видеть его оформление более искусным, в пастельных тонах, и лишь небольшое количество анимации, чтобы подчеркнуть его ключевые моменты. Но в то же время очень крутой анимации :)". На международном финале с Зои выступят три бэк-вокалистки, набор которых сейчас продолжается, но одной из них точно станет Регина Маллингер, которая выступала на сцене Евровидения и в прошлом году. Певица также рада сообщить о том, что Ясмина Митич, которая работала над имиджем и нарядом Зои для прошлого национального отбора, но, к сожалению, была занята в период подготовки к финалу этого года, снова вернется в состав команды. "Международно известный дизайнер Михаэль Майер сошьет платье специально для меня! Это должно быть прекрасно, и я не могу дождаться того момента, когда я увижу его!". Зои говорит, что ее первостепенной задачей является попадание в финал. "Ну, а там уже посмотрим... Я постараюсь сделать все возможное, чтобы моя страна гордилась мною! :)". Самым сложным, по словам певицы, в подготовке является то, что она отнимает все время: "С 12го февраля я просто нахожусь в процессе перемещения с одной встречи на другую. Конечно, это все круто, но поскольку я еще и гастролирую в эти дни, то у меня совершенно не остается свободного времени. Но я сама хотела этого, потому не могу жаловаться :)". Она признает, что еще даже не имела возможности познакомиться с выбором для конкурса других стран, но надеется сделать это в ближайшем будущем. В прошлом году певица выпустила альбом "Debut", и планирует заняться подготовкой нового материала после Евровидения, в районе сентября. "Я думаю, что он будет сделан в том же направлении. Я думаю, что продолжу петь на французском, но, кто знает?" "Дорогие поклонники Евровидения! Я невероятна счастлива тому, что вы являетесь такой большой семьей Евровидения, и теперь я тоже стала ее частью! Я с нетерпением жду возможности замечательно провести время в Стокгольме и жду встречи со всеми вами там! Но если мы не сможем встретиться, я все равно обещаю помахать вам в камеру! C полным текстом интервью на английском языке вы можете познакомиться здесь. 2го мая Зои вылетит вместе со своей командой в Стокгольм. Но все желающие все еще имеют шанс посетить Вечеринку-проводы Зои, которая пройдет 27го апреля. Во время вечеринки Зои исполнит свою конкурсную песню "Loin d'ici" и другие песни с ее альбома Debut. Ведущим вечера станет Рием Хигази. Ответьте на вопрос и выйграйте 2 билета на проводы, которые пройдут в среду 27 апреля в Вене. Крайний срок участия - 25 апреля в 15:00. Австрийский посткард для Евровидения 2016 был снят вчера, 5го апреля 2016 года, в трех точках Вены. Шведский режиссер Роберт Йитсмарк был весьма впечатлен австрийской представительницей Зои: "Зои - очень классная, нам было очень интересно с ней встретиться. Она очень естественная, не старается играть, а просто быть самой собой. Фокус в этом году делается на артистов и места, которые мы выбрали вместе с ними. Затем мы постарались найти такую перспективу, которую, наверное, никто до нас не видел". Зои после съемок говорит: "Для меня было очень приятным работать со шведской командой, мы прекрасно провели время и повеселились. Было очень интересно играть роль туриста в своем родном городе. И я очень счастлива прекрасной погоде - не могло и быть лучше. Очень сложно представить, что эти кадр будут увидены 200 миллионами зрителей". Австрийский вещатель ORF использует для выбора своего представителя на Евровидение 2016 национальный отборочный процесс "Eurovision Song Contest": Wer singt für Österreich. 12го февраля телезрители, вместе с профессиональным жюри, в рамках шоу, которое будет транслироваться в прайм-тайм на телеканале ORFeins с ведущими Анди Кноллом и Алис Тумлар, определят победителя национального отбора, который и представит Австрию в Стокгольме. Билеты на шоу и его генеральную репетицию доступны здесь. Телевизионный директор ORF Катрин Зехнер: "Еще перед Евровидением в Вене, мы поставили себе задачу, вместе с Австрийской музыкальной сценой вывести артистическое разнообразие Австрии из-за кулис и показать публике, какие таланты имеются в нашей стране. В этом году мы продолжим движение в этом направлении. Таким образом, мы вновь предоставим шанс талантам из Австрии, которые еще ждут того момента, когда их раскроют. Я полагаю, что такой высококачественный доступ является важным для артистов, для телеканала ORF, для наших зрителей, а также для качества конкурса Евровидение в целом"
Правила национального отбора были опубликованы 17 ноября 2015 года. Десять исполнителей примут участие в австрийском отборе за право выступить в крупнейшем международном развлекательном мероприятии мира. Девять из них были отобраны музыкальным экспертом Эберхардом Форшером и командой ORF-Song Contest из богатой музыкальной сцены Австрии. 10й исполнитель финала был выбран в качестве вайлдкарда пользователями социальной сети Facebook. С 17 ноября, заинтересованные исполнители (солисты или группы, в возрасте свыше 16 лет), могли подавать свои заявки на участие в национальном отборе. Для этого, нужно отправить MP3 файл (включая фото) или ссылку на собственное видео на songcontest@orf.at. Крайний срок приема заявок - 11 декабря. Песня должна быть неопубликованной или не исполнявшейся до 1го сентября и не превышать длины в три минуты. Сценическое выступление ограничивается максимально 6 людьми на сцене, и песня должна вокально исполняться вживую. Заявки рассматривала команда ORF, и публиковала их на своей Facebook странице. Лучшие номера, основываясь на внутренних критериях отбора и отзывах посетителей, приняли участие в интернет голосовании за получение Wildcard. Песня, собравшая наибольшее количество лайков, получила билет в финальное отборочное шоу 12го февраля, и, таким образом, шанс попасть на Евровидение в Стокгольме. Эберхард Форшер работал в этом году в качестве скаута национального отбора. Форшер, который был ведущим программ "Solid Gold" и "Forchers Friday Music Club" на Hitradio Ö3, имеет глубокие корни в местной музыкальной сцене, и даже может похвастаться попаданием в национальные чарты со своей группой Tom Pettings Herzattacken в 80е годы. В 2014 году Эберхард Форшер основал Youtube канал AUSTRO ZONE, в рамках которого он помогает в раскрутке молодым австрийским исполнителям и группам, и за который он получил Австрийскую музыкальную премию Amadeus. Каждый год, на канал отправляются около тысячи клипов многообещающих молодых артистов. Таким образом, Форшер постоянно держит руку на музыкальном пульсе. За последние несколько недель он отсмотрел несколько сотен клипов, сделал собственный предотбор, и обратился к артистам, соответствующим правилам, чтобы пригласить их принять участие в национальном отборе. Девять исполнителей, выбранных им, будут соревноваться с вайлдкардом, выбранным посетителями Facebook в программе "Конкурс Песни Евровидение - Кто споет от Австрии". 37 песен были представлены в первой части wildcard раунда. Познакомьтесь со списком wildcard заявок здесь. Во время предварительной публикации заявок свыше 500 лайков удалось собрать AzRaH, Sara Koell, Laura Kamhuber и Cornerstone. Основываясь на реакции слушателей и соответствии кандидатов критериям редакции отбора Laura Kamhuber, Ola Egbowon, AzRaH, Sara Koell и David Siedl были выбраны для участия в финальном голосовании пользователей, которое стартует 14го января, в 11:00 Москвы и продлится ровно 24 часа. Та песня, что соберет больше всего лайков, присоединится к 9 финалистам отбора. Их имена были объявлены 12го января. Особый упор в своем выборе команда скаутов во главе с Эберхардом Форшером и директором ORF Стефаном Зехнером сделала на новичков австрийской музыкальной сцены. Сэмплы участвующих песен были представлены на радио Ö3 21го января, где их прокомментировала Кончита Вурст, а полные песни были представлены на пресс-конференции и размещены на сайте конкурса. • Azrah - Певица с боснийскими корнями стала победительницей конкурса "Austro Song Contest" в прошлом году, и на призовые деньги записала свою конкурсную песню для Евровидения. • Лаура Камхубер - 16-летняя бывшая участница "Kiddy Contest", "Silvesterstadl" и "The Voice Kids" - самая юная конкурсантка отбора. • Ола Эгбовон - музыка, госпел, африканская фолк-музыка и Motown были постоянными спутниками в жизни певца с нигерийским происхождением. Сейчас он живет в Вене и исполняет современную соул музыку. • Сара Колль - Певица из Тироля имеет опыт участия в конкурсах для групп, телешоу, Donauinselfest, 10 лет занятий музыкой, практически все в ее жизни вращается вокруг музыки. AzRaH провозглашена победительницей онлайн голосования с 7168 засчитанными голосами. Из-за нарушений процесса (неожиданного диспропорционального роста и такого же неожиданного необъяснимого падения количества лайков у некоторых участников) организаторам потребовалось дополнительное время на проверку результатов. По итогам проведенного профессионального анализа истории голосования, "накрученные лайки" были дисквалифицированы. Таким образом, был составлен новый рейтинг, победителем которого оказалась AzRaH. • Элли Варданян 17 лет, и она живет в Нижней Австрии. В возрасте 8 лет, она переехала в Австрию с семьей из Армении. Ее талант, помимо прочего, можно было заметить на молодежном конкурсе Prima la musica, где в прошлом году она завоевала первое место. Элли обещает тронуть ее песней и выступлением сердца многих телезрителей, чтобы они проголосовали за нее. • Орри Джексон родился в 1989 году в Бонне, где также и вырос. На его детство влияние оказали миры международной поп-музыки и Neue Deutsche Welle, что привело впоследствии к созданию им стиля, который певцом описывается как German-Soul. Он может похвалиться как сотрудничеством с рядом диджеев, так и участием в бойзбендах и других музыкальных проектах. Орри - большой поклонник Майкла Джексона и называет его своим первым и главным музыкальным влиянием. • Селин Рошек и Фарина Мисс выступят вместе. Бывшая Мисс Австрии 2002 Селин Рошек играет как на классической, так и на электро скрипке, в стилях от классики до электро-поп музыки, известна своими интерпретациями классических произведений, а а также участием в кроссовер-проектах. Бывшая студентка джаз-отделения Фарина Мисс черпает свое вдохновение от таких артистов, как Эрика Баду, Джилл Скотт и Д'Анджело. О своем участии в Евровидении она говорит: "Я надеюсь на большую музыкальную вечеринку, где встретятся артисты из многих стран, с различными влияниями и языками... яркое и вдохновляющее столкновение культур". • После обучения на факультете джазовой музыки в Консерватории Вены и других музыкальных проектов, Лия Веллер, которая родилась в Сан-Паоло, стала известна всей Австрии благодаря своему участию в шоу Starmania в 2008 году. За этим последовали выступления по всей Европе и тур по клубной сцене Ибицы. Ее музыке удалось пробиться и в родную Бразилию, где голос Лии можно услышать в кинофильмах и сериалах. Лия говорит, что у нее есть множество воспоминаний о конкурсе Евровидение, но самое яркое из них - победа Кончиты Вурст. • 30-летний житель Вены с филиппинскими корнями Винсент Буэно закончил Университет Музыки и Искусств Вены, отделение "Музыкальный театр". В 2008 году он стал победителем на программе ORF "Musical - The Show", а в следующем году принял участие в Dancing Stars. За этим последовали ряд проектов в Филиппинах и Австрии, где, помимо прочего, он выступил в качестве специального гостя в роли Ская в мюзикле "Мамма мия" в театре Раймунд, а в 2015 году выпустил свой первый немецкоязычный сингл "Geständnis". Винсент говорит, что очень благодарен и рад тому, что он стал участником национального отбора на Евровидение. • Lizza - настоящее имя Лиза Кламмер - родом из Каринтии и ей 19 лет. В 2014 году она подписала свой первый контракт с лейблом и выпустила дебютный сингл "Every Minute Of A Day". Ее музыкальные влияния включают в себя Адель, Эда Ширана и Тэйлор Свифт. "Участие в отборе на конкурс Евровидение значит всё для меня! Круче всего было бы еще и победить на нем! ", говорит Лиза, а ее самым ярким воспоминанием о Евровидении является победа в 2006 году группы Lordi. • Зои привел на музыкальную сцену в раннем возрасте ее отец Кристов Штрауб (гитарист группы Papermoon). С 2013 года, ныне 19-летняя Зои, выступает в качестве автора и исполнителя. В 2015 году она уже принимала участие в австрийском национальном отборе на конкурс Евровидение в Вене и дошла там до финала. С песней "Mon coeur a trop aime" и альбомом "Debut" ей удалось попасть в чарт "Топ 40" Австрии. "Если мне предоставится возможность представить Австрию на Евровидении, то я обещаю выложиться по-полной. Ну а пока, я надеюсь на получение множества хороших воспоминаний и нового опыта в рамках отборочного тура". • Санкил Джоунс родился в Вене и вырос на Лонг Айленде в Нью-Йорке. Он учился игре на скрипке, пению и танцам в Манхэттенской Школе Музыки и в Консерватории Вены. После ряда работ в качестве модели, хореографа и танцора, в 2010 году он выпустил альбом в стилях электро-поп / R&B Firestarter. Для национального отбора он доработал трек, исполненный его неповторимым соул-вокалом. Евровидение для Санкила - "отличный способ заложить основую для будущей международной карьеры, и представить Австрию, как страну с богатым музыкальным разнообразием". В состав профессионального жюри отбора вошли: победительница Евровидения 2014 Кончита Вурст, певица и актриса Madita, а также Julie Frost - автор песни-победительницы Евровидения 2010 "Satellite". Четвертым жюри стало жюри австрийской прессы, в которое вошли Stefan Weinberger (Kronen Zeitung), Astrid Hofer (Österreich), Anna Gasteiger (Kurier), Christiane Fasching (Tiroler Tageszeitung), Martin Fichter-Wöß (APA), Marco Schreuder (ESC-Blogger, derstandard.at), Roland Bonimair (TV-Media) и Christian Ude (Kleine Zeitung), который являлся его глашатаем. "Мы гордимся тем, что в жюри вошли столь опытные специалисты, которые не понаслышке знакомы с победами на Евровидении. Участие в жюри представителей прессы расширяет опыт жюри, а добавляя к его мнению мнение австрийских телезрителей должно помочь нам выбрать действительно сильнейшего исполнителя для Стокгольма", сказала директор канала Катрин Зехнер. Каждый из членов жюри выставлял свои оценки по 10-балльной шкале сразу после каждого выступления. Голосование телезрителей началось после последнего номера. После суммирования голосов были определены лидеры, в случае равенства баллов, преимущество получил бы фаворит зрителей. Однако, дальше всех ждал суперфинал из двух лучших исполнителей, и в нем жюри могло лишь высказать свое мнение, а победителя отбора определяли только телезрители. Кончита Вурст также выступила в качестве специальной гостьи с песней "That's What I Am" с национального отбора 2012. Финал шоу собрал на ORF 553.000 зрителей.